How do you choose your portraits? Something we hear frequently is that there are some many senior pictures or so many family pictures to choose from. We want to help you get the image that over time will be the best selection for you. Jessica and Eric work to show you the qualities of the image that make it a great piece of art for your wall. 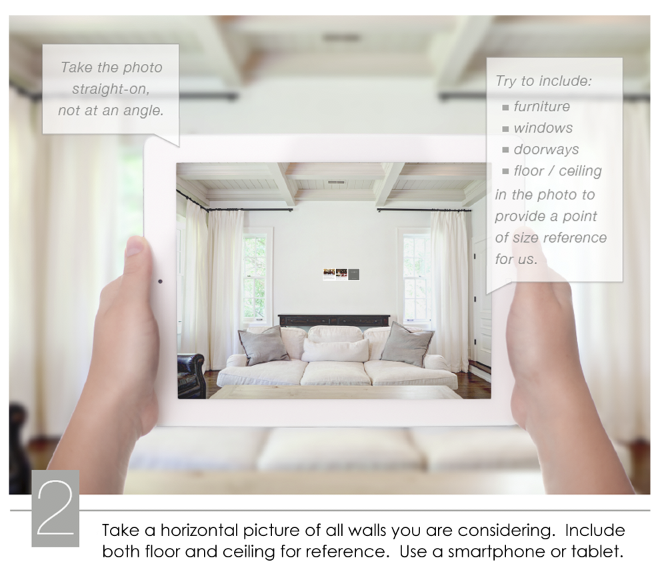 Selecting the right size picture for your wall could prove to be a challenge. Our new phone app that will allow you to take images on your phone and then send them directly to us so that when you see your portraits they will be on your wall. In case you missed that, you get to see your portraits on your wall on the big movie screen. This allows perfect selection of the right size image for your space. You do not have to worry about the image being too large or what is often the case – too small. It is hard to visualize what it will look like and this takes care of that.